We can supply wood floors from the "run of the mill" type of floors to well known leading European manufactures such as Kahrs, Boen, Elka, Lalegno and Lamett to the unique one-off bespoke floors that are made to order. 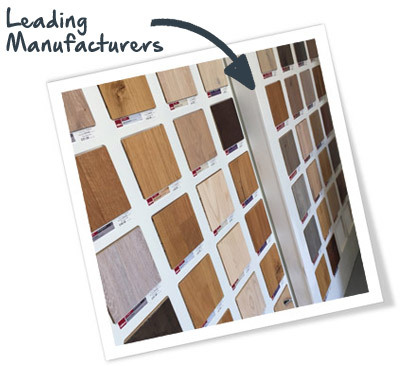 In addition, we can offer laminates from Quickstep, Balterio, Kronopol and Kronotex giving you the opportunity to browse through many different finishes. All presented in our showroom. We understand that it can be difficult to make the right choice. 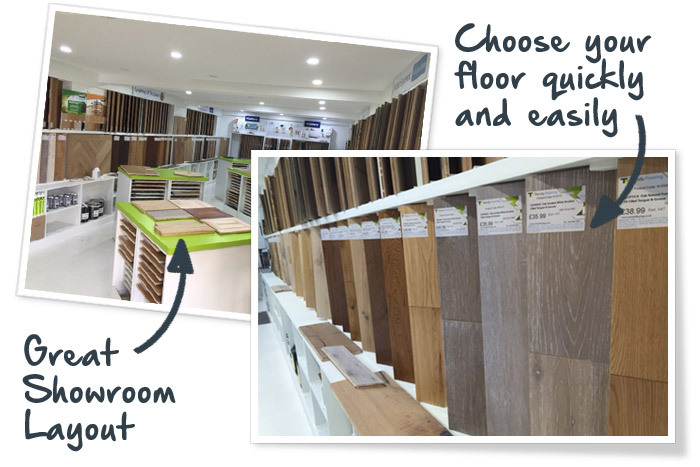 To assist you with making decision we have designed our showroom in a way that you can see good size sample panels that can be removed and laid down on the floor side by side to help you visualize the look of the floor. 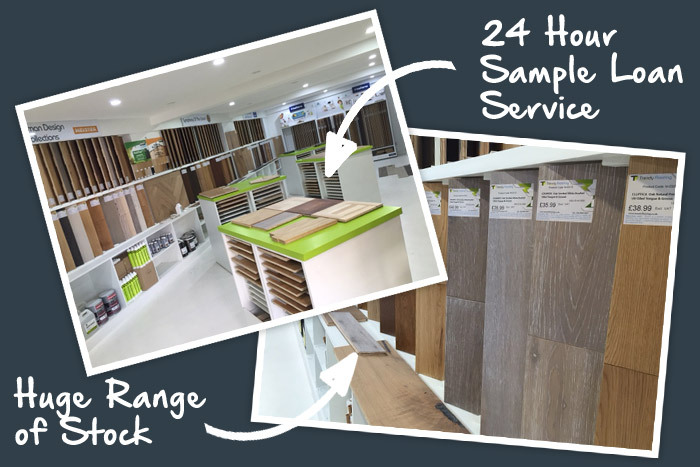 We also can offer you the opportunity of borrowing a sample(s) for 24 hours so that you can see and visualize how it would look in your own premises. 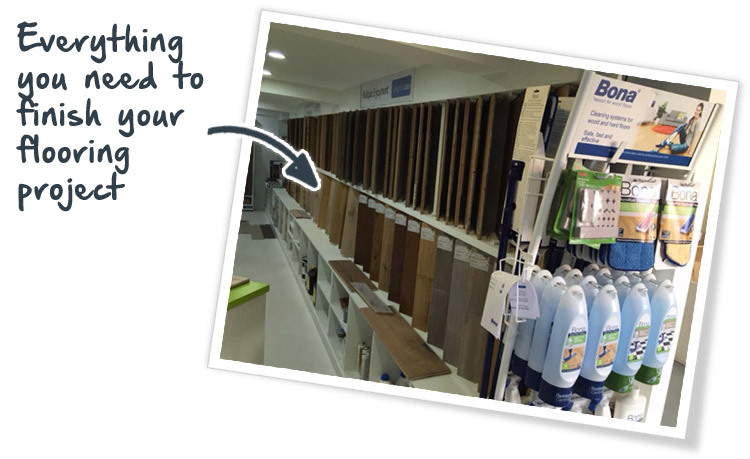 To compliment the flooring, we also offer a range of Accessories, Mouldings, Underlays, Adhesives, Breathable Flooring Protection, Finishes and Cleaning products etc., all from leading brands such as Bona and Osmo. All you need to complete any flooring project. For every interior there is a compatible floor, with its own unique character. Choosing the right wood floor is an important decision. With over 500 different finishes in a wide range of styles and colours to choose from, we are confident that we can satisfy your demands for design and quality both for domestic and commercial use. Please visit our showroom where you can see and feel the textures for yourself an endless variety of flooring.